2 years and a half ago, after a long consideration, we have launched www.liveincolors.ro, the first and only online shop dedicated to adult coloring. 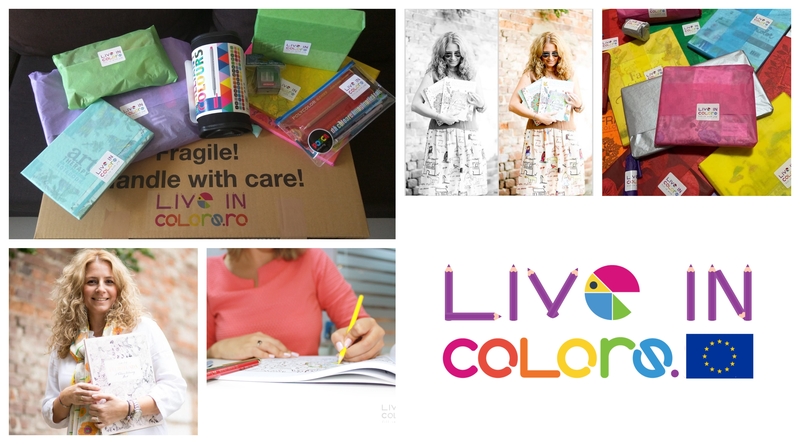 Live in Colors is not only about business, it’s about passion, satisfaction, joy, pleasure, playfulness. We wanted to have one stop place for the coloring fans: all you can buy from adult coloring books and coloring supplies to flip through videos of the books and blog articles related to this hobby (including interviews with well-known illustrators of adult coloring books). We also spoil our customers with a special way of packaging our products, they’re all packed with love. On the Romanian market, Live in Colors still is the only such place for the coloring fans. And now, we’re bold enough to launch www.liveincolors.eu, the same one stop shop but for the coloring fans all over Europe. Live in Colors is all about feelings and colors. I hope you will visit our beautiful place and you’ll enjoy it. We also invite you to follow us on Facebook, Youtube channel Live in Colors, Instagram and Pinterest.